The United Kingdom made three attempts to conquer Afghanistan in the 19th and early 20th century. They are known as Anglo-Afghan wars. The First Anglo-Afghan War was fought between 1839 and 1842. The British-Indian forces were eventually defeated, and the British Empire established diplomatic relations with Afghanistan. In 1878, the United Kingdom once again invaded the Emirate of Afghanistan, beginning the Second Anglo-Afghan War. It ended in 1880, resulting in British victory. Afghanistan kept its internal sovereignty, but ceded control of its foreign relations to Britain. The Third Anglo-Afghan War was fought in 1919. It lasted for three months, ending with an armistice. On August 8, the United Kingdom and Afghanistan signed the Treaty of Rawalpindi, which recognized Afghanistan's independence. The independence was formally proclaimed on August 19. 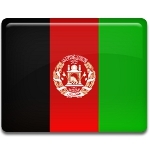 Afghan Independence Day is a public holiday in the Islamic Republic of Afghanistan. It is marked with official speeches and military displays in the capital city of Kabul.